Churchill had been dead more than 50 years now, but if the man himself is gone, the myth is enjoying a revival. Churchill has made recent appearance in the big screen productions Churchill and Darkest Hour, and has also shown up on the small screen in the British drama Crown. Of course, we all know the camera distorts, and it's not just the ten pounds it adds, so if you want a more accurate understanding of the British Bulldog, why not turn to print instead? Most Churchill biographies are the size of dictionaries, and since that exceeded my interest in the man I was pleased to discover John Perry's Winston Churchill was of a more reasonable size. 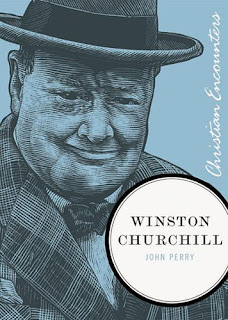 Since it's part of Christian publisher Thomas Nelson's 16-book Christian Encounters biography series, I wondered if that meant Churchill himself was Christian. But, no, sadly it isn't so. It turns out that while Churchill knew his Bible, and would sometimes speak of God – particularly in rousing speeches to the British public – he thought that, if there was a God, then God owed him heaven. So no, Churchill wasn't Christian. As Perry makes clear, Churchill had a spiritual type of fatalism. Early on Churchill came to understand that no man is in charge of his own fate; the fact that one man lives through a battle and another dies has little to do with the men themselves. So when Churchill survived a number of dangerous encounters in his youth, he grew in his conviction that he had been destined for something great. Destined by Who? The answer to that question wasn't all that pressing to Churchill. But this conviction gave him confidence, and even a certain sort of humility... but it didn't result in worship. Churchill seemed to be the greatest being that Churchill knew. 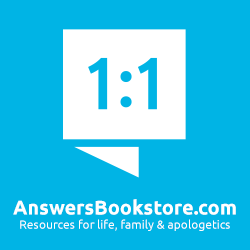 As a rule I don't recommend (or even review) books that take God's name in vain – why would I praise someone who is mocking God? This is especially true when it comes to fiction, however, a case can be made for exceptions when it comes to history. In detailing Churchill's agnostic attitude towards God (and his son Randolph's especially arrogant view) it would seem unavoidable that some of Churchill's blasphemous quips and comments would need to be shared. But while these quotes do seem necessary, this is an instance where less is more, so we can be grateful with the restraint in which Perry shares them. Why, then, is Churchill being profiled in this Christian series of biographies? Because we can see God's hand on the man. From birth God was preparing him to be the right man, for the right time. And He so arranged things that Churchill was in the right place too, as the war time prime minister. This was all beyond Churchill's arranging, but looking back, we can see how God laid out events, and how He can use whomever he will because, whether Christian or agnostic, all are a part of His plan. That's the real reason to read this biography – it is a treat to see how God has acted in history to preserve His Church. Churchill was a great man in ways, but he was also a petty one in others. Had he lived today, there might even have been unfavorable comparisons made between him and our least favorite politicians: he blew through taxpayer dollars to fund his own high living, and he was known to indulge in "alternative facts" in his writings. At a different time, this great man might have been run out of politics. That's the lesson here – the greatness of this great man can't be found in the man himself. Instead what's on display is God's gracious providence in providing for us the response we need to Hitler's Third Reich. Winston Churchill is a quick, eye-opening read that both my wife and I enjoyed. I would recommend it to anyone, teens and up, interested in learning more about one of the pivotal figures of the 20th century. 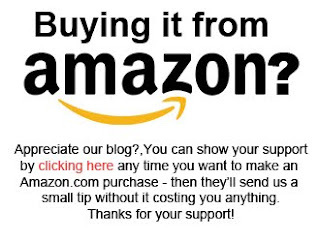 Pick it up at Amazon.com here, and Amazon.ca here.